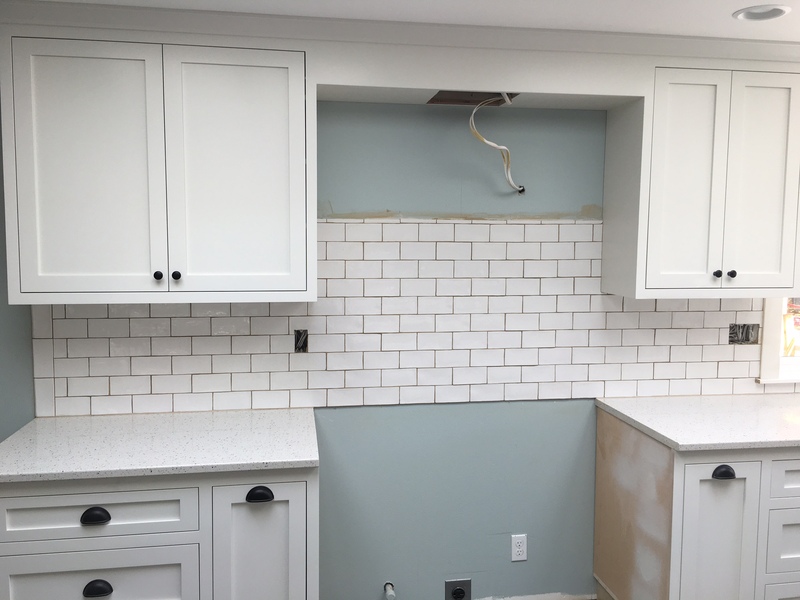 Crisp white subway tile complements dusty blue walls for a refreshed look. 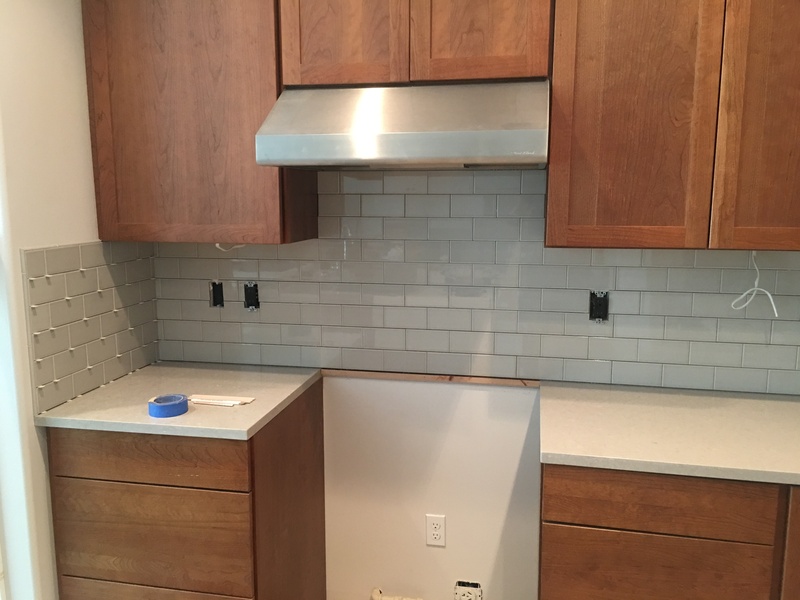 This modern kitchen is ready for a new oven and vent hood! 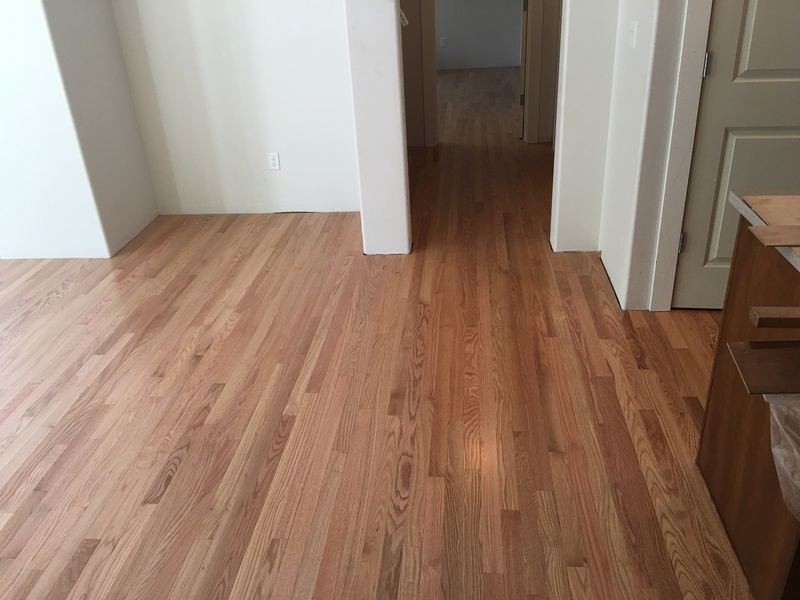 This house is transformed into a cozy home with brand-new pre-finished flooring in a warm honey hue. 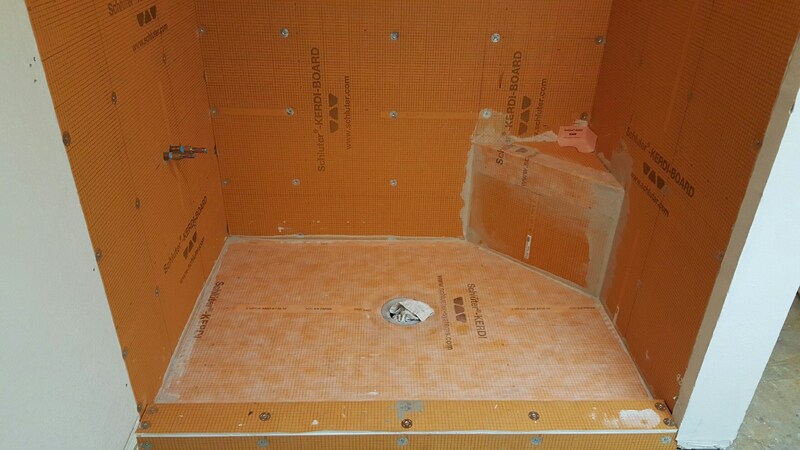 A custom shower in its initial phases of prep - making sure all seams are watertight. 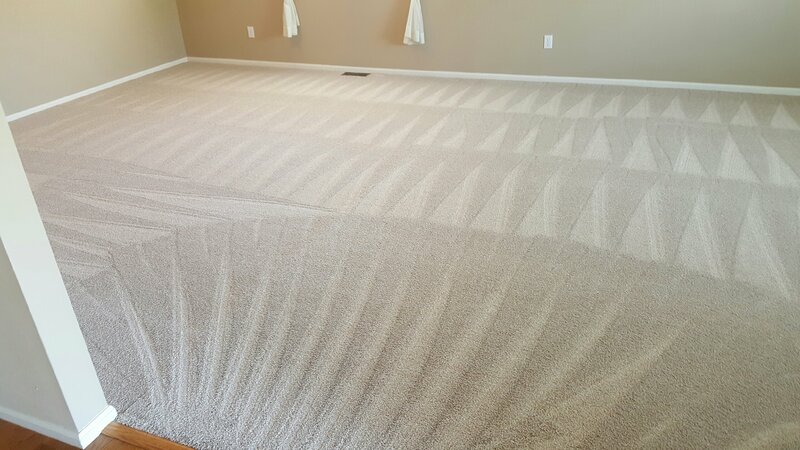 Tile shims ensure these grout lines hold at an even 1/8" thick as the tile sets, awaiting grout. 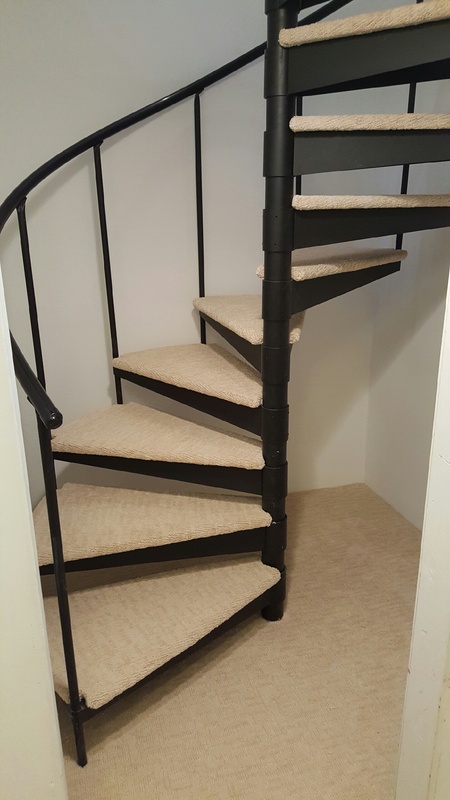 The installer carefully upholstered each step with this heavy berber carpet, and then re-mounted each onto the spiral framework.